We have been RISING UP for 6:30am workouts, 5 days a week for 4+ years. We’ve worked out in sunshine, darkness, rain, blizzards, hurricanes, heat & humidity, and sub-zero temps. Through it all there is one thing that keeps this train moving way more efficiently than the MTA – you! We can’t do this without the dedicated Risers who make their way out for some free outdoor fitness in all sorts of conditions. To help us continue to grow this incredible community going forward, we would love your feedback. We came up with a short survey to help us better gauge what we’re doing well, what we could improve, and what we can do to further engage you – The Rise community. The survey is anonymous, but if you provide your email address on the form then we’ll give you a special gift as a token of our appreciation, which you’ll be able to get at a future workout (likely in August). We promise the gift is not doing more burpees at your next workout. Probably. The survey will be open for a few weeks and all are welcome to take it! Thank you for your time taking the survey ~ HIGH FIVE! Take the survey here – it will only take a few minutes and your feedback is invaluable to us. 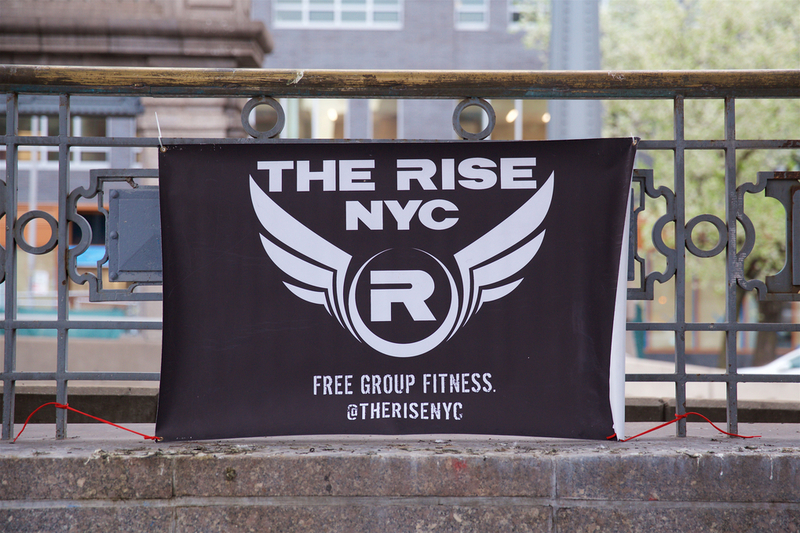 Check out some of the Rise family and join us 5 days a week!